Just You (2c Pour Moi x Monte Makemyday, by Fusaichi Pegasus), a colt considered to be a hotter prospect with maturity, scored a good win at Otaki in New Zealand on Tuesday to credit his sire Pour Moi with his first Southern Hemisphere winner. The first Australasian race day representative for Pour Moi, who shuttled to Windsor Park Stud, Just You showed he had taken no harm from a chequered run at his previous start with success in the 1000 metre juvenile dash. Just You finished runner-up on debut, before he went to Trentham where he was checked out of contention 600 metres from home by a fallen runner. He showed his confidence hadn’t been dented by that experience when he raced kindly between runners and clearly proved superior when he was in the clear to win three lengths. “He jumped well today and went forward before we had to ease and he came back to me,” winning rider Darryl Bradley said. “He got in among them, which was good after Wellington, and he travelled into it nicely. 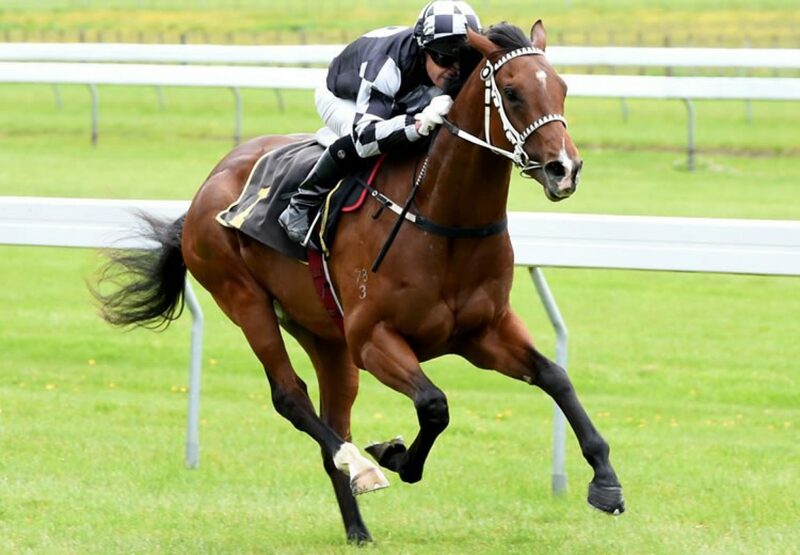 He will learn a lot and he had a good look around, but he got away from them well.” Just You was purchased for $60,000 out of Little Avondale Stud’s Select draft by his Awapuni trainer Lisa Latta at Karaka earlier this year on behalf of strong stable supporters Kamada Bloodstock. Although he is from the family of the former champion juvenile and Karaka Million winner Ruud Awakening, Just You is viewed by his connections as more of a three-year-old type.